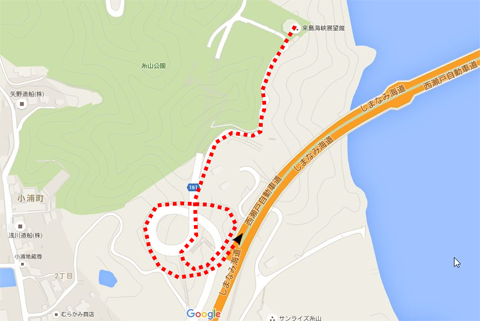 It is a course of about 1 km one way. 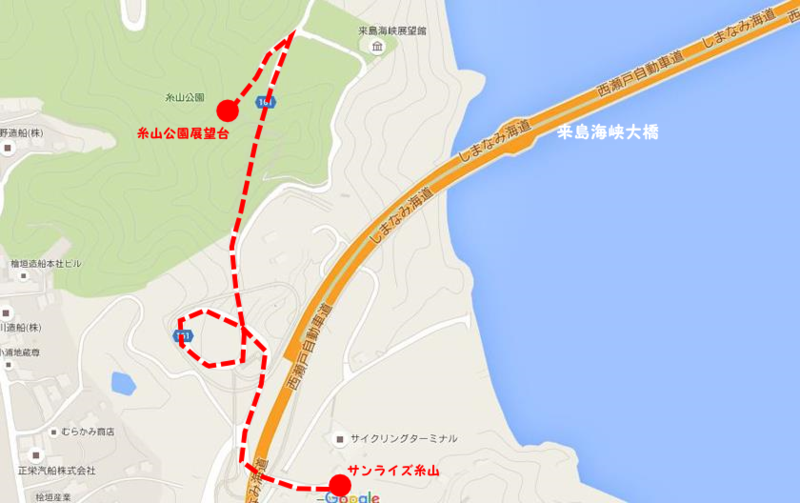 The climbing hill from Sunrise - Itoyama to Itoyama Park is not so steep climb, it can arrive in about 10 minutes. 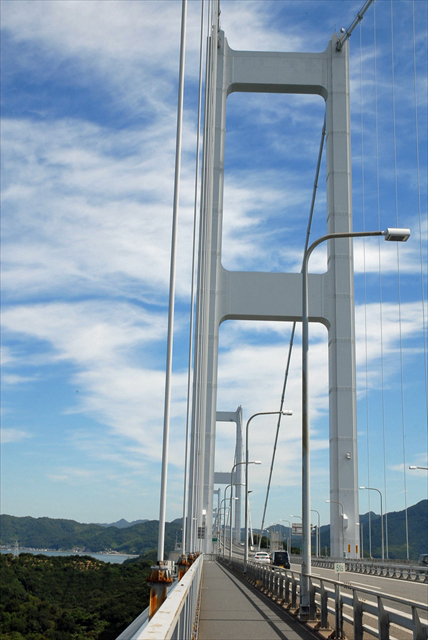 You can overlook the Kurushima Kaikyo Bridge from the observation deck. It is a 360-degree panoramic view. It is Ohmishima Island where there is Ohyamazumi Shrine in Japan total compassion. 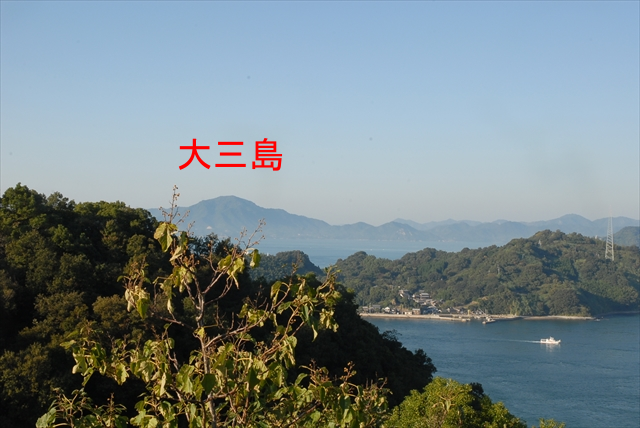 It takes about 70 km to go from Sunrise-Itoyama to Ohmishima Island, which is a bit hard for beginners, but it is about 30 km round trip to Hikatajima one before, which is a recommended course for beginners. 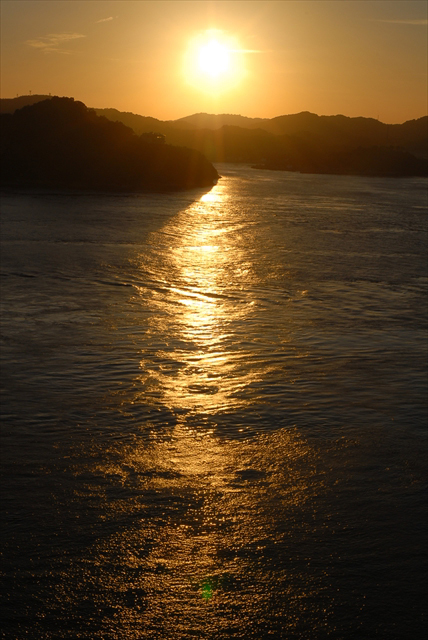 For Shimanami-Kaido cycling beginners, I think that it is recommended to first experience the scenery from Kurushima Kaikyo Bridge. The length of the bridge is the longest. The Kurushima Kaikyo Ohashi consists of three bridges. It is about 4 km from 4,050 m in total. The Taiso Bridge connecting the second place Ikuchijima-Island and Ohmishima Island is 1,480 m, so the Kurushima Kaikyo Bridge has a long bridge length overwhelmingly. In other words, it means that you can enjoy the scenery and wind seen from the top of the bridge all the while. You seem to hear the voice saying "Do not get tired of having the same bridge forever"
I think that it is never such a thing. 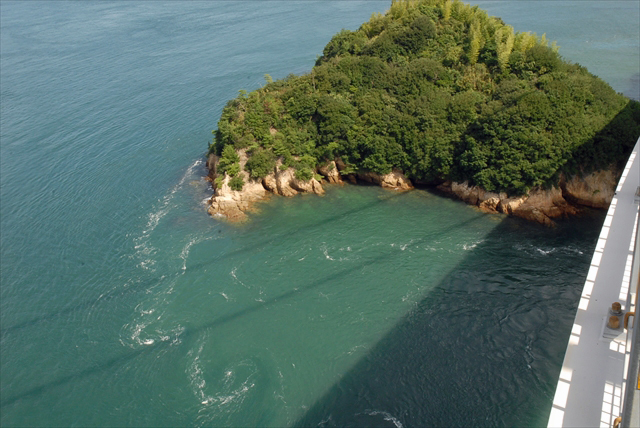 The Kurushima Strait Bridge is made up of the total of three bridges connecting small islands, so the landscape from the bridge changes each time. Even in going and returning, the landscape is completely different. I do not think that I get bored at all. Sometimes occasionally I would like to stop the bicycle on the bridge and enjoy the surrounding scenery. I think that I can for sure forget the daily disgust. "From the Oshima Island Imabari's way home all the way up". I answer surprisingly on my way home. It is beautiful to see the setting sun on the way home, but please be careful as it is always uphill. In the evening, thinking "Let's go home" and get on the Kurushima Kaikyo Bridge from the Oshima side, there may be people who are stunned by the gradual climb that continues for the time being. So, it is recommended for beginners to set time for returning to the time with a margin on the way home. Depending on the season, if it is autumn, I think that it is better to leave Oshima and go home on the way home for beginners in the afternoon. It finally crosses the Kurushima Kaikyo Bridge. If you enjoy the panoramic view from Itoyama Park, go down the Itoyama Park and go down to the Kurushima Kaikyo Bridge to the approach road. A little down the observation deck, there is an arrow to the Kurushima Kaikyo Bridge, so we will enter the approach road from there. I often see people saying "The approach road to the bridge is hard," but for beginners it may be somewhat tight. However, since it is a loop-like uphill, the scenery changes rapidly, I think that I do not feel so tight. If you climb the approach road for about 5 minutes, you can see the majestic appearance of the Kurushima Kaikyo Bridge in front. By the way, the crown on the head of Mr. Imabari's loose character "Bari"
It seems to have been designed. 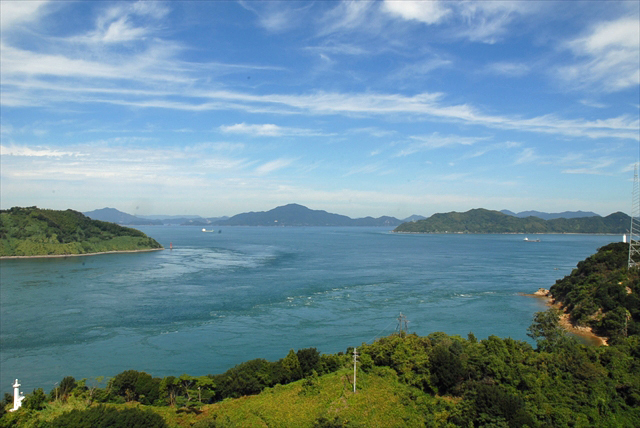 From the Kurushima Kaikyo Ohashi you can see various facial expressions of the sea. You can see how sea is flowing. The sea flew like a river. There is a whirlpool around the island. There are small rest areas in various places in well-maintained cycling road. There is a guide board for cycling at the resting place, there is a vending machine and it is convenient. Unfortunately the view was not very good. The resting place is beautiful, but unfortunately it's a place I can not overlook the view. 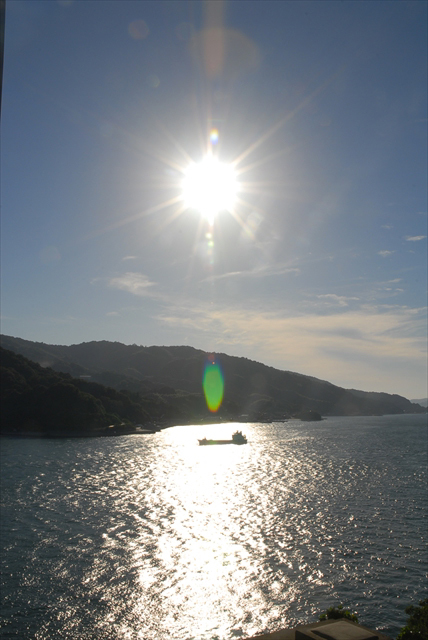 When entering Shimanami-Kaido from the Shikoku side, I think that it will come back to Sunrise-Itoyama in the evening, but the Kurushima Ohashi Bridge in the evening is a great viewpoint where you can see the sunset. Depending on the season, you can see the Kurushima Kaikyo Bridge that was lighted up. Shimanami-Kaido cycling event for beginners（Year of 2017）?